Here are Wikipedia's links on writing systems, the history of writing, and the Olmec civilization. Finding a heretofore unknown writing system is rare. One of the last major ones to come to light, scholars say, was the Indus Valley script, recognized from excavations in 1924. Now, scholars are tantalized by a message in stone in a script unlike any other and a text they cannot read. 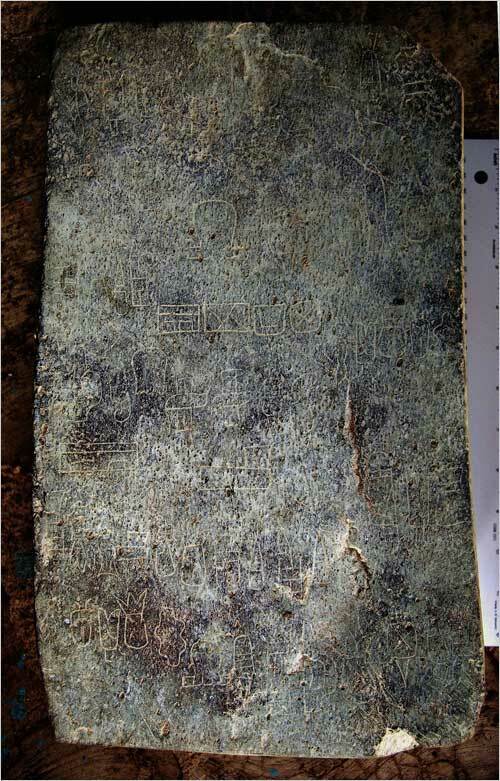 They are excited by the prospect of finding more of this writing, and eventually deciphering it, to crack open a window on one of the most enigmatic ancient civilizations. The inscription on the Mexican stone, with 28 distinct signs, some of which are repeated, for a total of 62, has been tentatively dated from at least 900 B.C., possibly earlier. That is 400 or more years before writing was known to have existed in Mesoamerica, the region from central Mexico through much of Central America, and by extension, anywhere in the hemisphere.